Responsive Web Design Vs. Mobile Application: Which Is The Best? Just like any small enterprise you must be wondering how to take advantage of online advertisement to get more traffic for your website. Depending on the size of your business and budget, you can go for the responsive web designing service, mobile app development service and web app or possibly all of them if you have sufficient money to invest. Unfortunately, many small enterprises work with the fixed budget and cannot get invest in all of the above options. So, how do they know which is the best option for them? 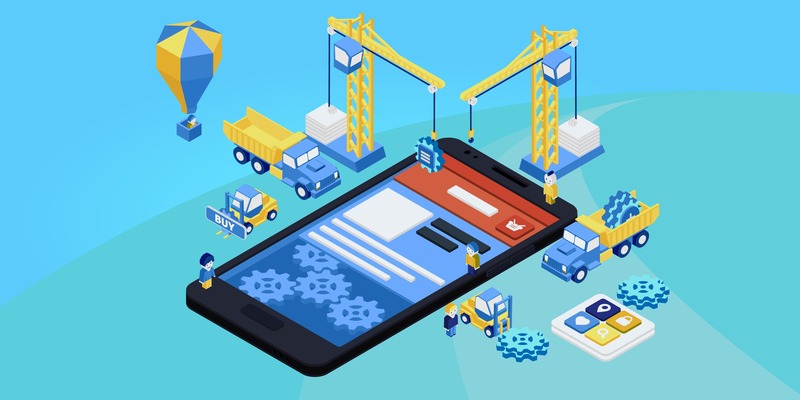 Well, in this blog post we are going to compare web designs and mobile apps to find out the most suitable option for your business. Responsive web designs is an approach to web design which adjust the upper layout of the content to fit the size of screen it is running on. It is the web design with codes that informs the browser how to display the website according to the screen. For a small businesses Responsive web designing turns out to be the most useful advertising tool. With this, businesses can reach many users on variety of devices. Now after finding out what is the responsive web design let’s move further to read about the top benefits of using responsive web designs. It provide flexible layout that responds on the all types of screens. It allows users to reach large audience. Google prefer responsive websites as it provides mobile-friendly views. There is a misconception that mobile and web app is the same thing. In reality, native mobile app is a unique program that is downloaded and stored in mobile phones. The fact that mobile application doesn’t always require internet access makes it a more suitable option to reach potential customers. Plus, it can be faster than responsive web designs. But in comparison to responsive web designs developing a mobile app can cost a lot more money. Although, mobile app take a lot of time and money but when it comes the benefits they offer more than you expect. You can hire mobile app development service to create one for your business. The mobile applications provide more functionality than the mobile –friendly websites. Users can built custom mobile apps to target a specific group of customers. The mobile applications can easily integrated with already exiting tools and features on the website. Mobile apps are designed to meet the expectations of the clients and usually comes with faster loading time. Mobile apps can increase the brand awareness among the audience. Depending on the size of the business developing a mobile app is a difficult tasks. It requires a proper set of skills as it is more than just a site modification. If not done properly the mobile app can backfire and harm business reputation. In the end, the decision is all up to but in case if you want to clear out some doubts then visit Qdexi Technology. They are the most reputed and well established company for digital marketing in the USA serving thousands of clients around the globe.